It tends to happen more in older people who may be less active and have poorer blood circulation or may be on medication that causes dizziness or faintness. While fainting is usually a short-lived experience and people recover within a few minutes, it can be particularly dangerous if a person falls and hits their head (risk of hematoma or internal bleeding). In some cases, fainting can be a sign of more serious illness or disease, such as aortic stenosis or kidney failure. Cardiac syncope or cardiovascular syncope may indicate a heart condition such as bradycardia or tachycardia, or may be associated with heart failure or atrial fibrillation. If you have concerns about fainting, be sure to visit your doctor. 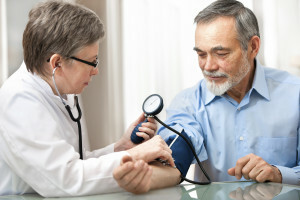 The doctor will perform a thorough medical exam and will review your health history. Some testing may be recommended, such as an electrocardiogram (ECG), cardiac stress test, cardiac monitoring such as a Holter monitor, and an echocardiogram. Tilt table testing may also be an option for some patients. Depending on the feedback given to your doctor and the results of any testing, your doctor will make recommendations that may include diet and lifestyle changes, such as drinking more water or becoming more physically active. The doctor may also suggest additional tests or treatments depending on your condition and the outcome of previous tests.